It’s always an exciting moment when an artist drops a new music video. The visuals allow listeners to view music in new ways and provide a platform for musicians to paint their songs in a creative light. It’s an exponentially more exciting moment to see that BROCKHAMPTON’s very own Kevin Abstract directed an alternate music video for Dominic Fike’s hit track “3 Nights.” Abstract and Fike have teamed up with BROCKHAMPTON team members Ashlan Grey and Henock Sileshi to produce an incredibly candid and entertaining one-shot video that contrasts the official music video beautifully. The video starts with an out-of-breath interview that transitions into a continuous string of suburban shenanigans, giving us a glimpse into Dominic Fike’s personality. After all, the video is titled, “This Is Dominic Fike”. From backflips to bongos, the boys run through the streets laughing and singing along to the catchy lyrics of “3 Nights.” The whole video is reminiscent of those summer nights you had with your friends doing anything and everything imaginable just for pure entertainment. Kevin Abstract’s video is everything you’ve always wanted your home videos to look like. It’s simple, it’s pure, and it successfully presents the track in a new way. 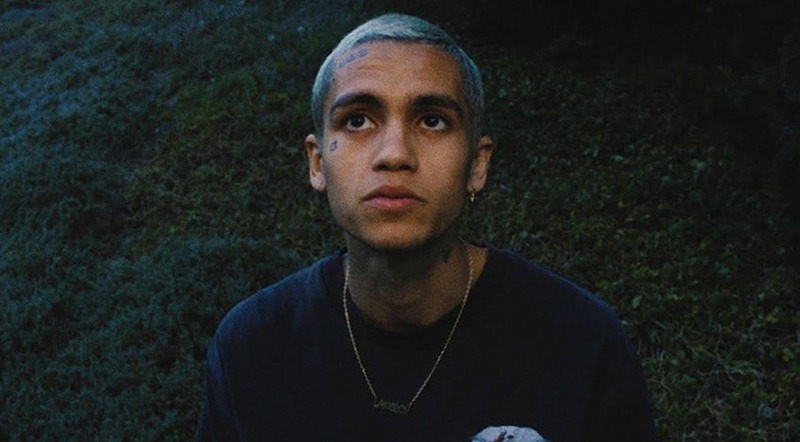 Dominic Fike’s debut EP, Don’t Forget About Me, Demos, dropped last October in 2018. Check out our initial reactions to his music and the talk about his past. Fike will continue to be on our radar, especially after teasing new music at the end of the official video. Be sure to check out both videos below and let us know what you think!